Tempura Hajime received a Chef’s hat award from The Australian Good Food and Travel Guide. Tempura Hajime’s Owner chef Shigeo has been a chef for over 25 years. He started in his home town of Osaka, Japan in 1994. Since moving to Melbourne in 2004. Shigeo worked as the chef at the acclaimed CBD Japanese restaurant Kenzan. 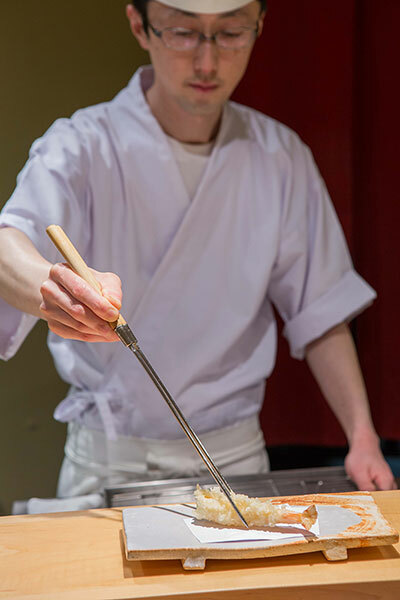 In 2009 he started the ownership and chef’s role at the much awarded Tempura Hajime.